The Samnites were a tribal group of the Oscan peoples that occupied Central and Southern Italy. They were fierce warriors and in their many wars with Rome they earned a high military reputation. Samnites fought in loose formations armed with javelins and sword, preferably in hilly or wooded terrain. They were formidable fighters in close combat. 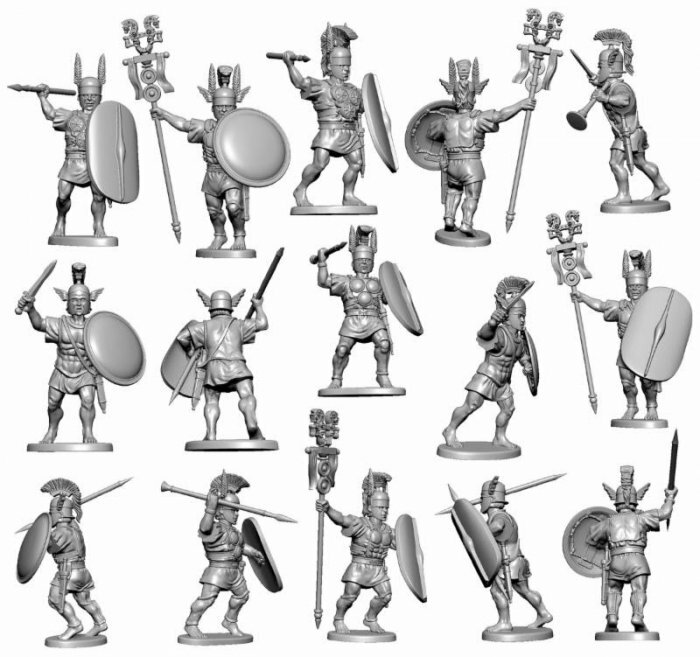 These fantastic and highly detailed miniatures are ideal as enemies of Republican Rome or fighting as allies and mercenaries in a Carthaginian army. They can also be used as earlier Italian peoples such as Lucani, Bruttii or Campani. Set of 24 figures. 28mm sized, made of plastic, supplied unpainted and unassembled.